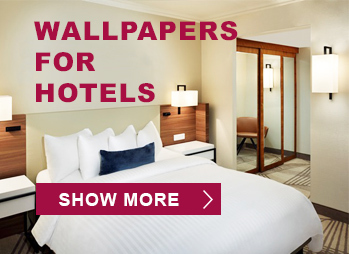 Wallpapers give your walls life and are a welcome helper in designing modern and stylish interiors. By using the right wallpaper you will affect the whole room appearance and a pleasant atmosphere will breathe from the wall. Revive and decorate your home and choose wallpapers designed just for you. 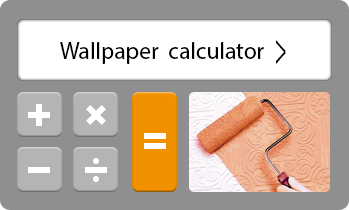 Our smart wallpaper filter will help you to choose the right wallpaper. In our offer you can find classical paper wallpapers, modern vlies wallpapers, resistant vinyl wallpapers, as well as varieties or glass fiber wallpapers. Choose the right combination of colors and patterns and give yourself and your walls a touch of luxury. Black and white hexagons pattern on a non woven wallpaper, Czec.. Taking a popular home decor trend of clouds and bringing it up .. Very modern pattern with colored triangles in gray, brown and s..
Natural materials design makes your interior more cosier and cr..
Golden geometric pattern on a red vinyl wallpaper for wall. Pink and green circles on non-woven wallpaper. 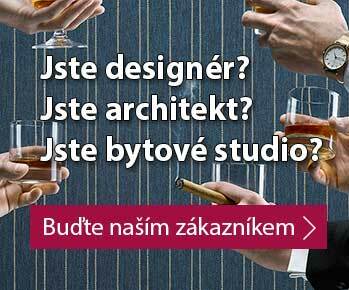 Czech production. Silver-black geometric pattern with gentle glitters on a gray v..
Natural and plant motifs sweeten and make every interior more c..
Timeless strips are very popular in present days. They are comb..
Creative wallpaper! 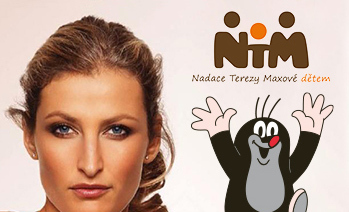 The motif of Little Mole and his animal fri..
A design, which cheers up the children's room. A paper wallpape..
Plant motives sweeten and make every interior cosier. Metalli..
Ageless popular brick design gives interior style and can perfe..
Nepravidelné černé linky s mírně plastickým povrchem na bíl..
Fitting perfectly into the much loved monochrome trend, this bl..
Moderní, originální design připomínající kaleidoskop - květy a .. Classical paper wallpapers with a restrained pattern are a cons..
Natural material designs make your interior more cosier and cre.. Oval, geometric circles give your interior a modern and dynamic..
Moderní, originální design s jemnou povrchovou strukturou, čerp..
Oblečte své stěny do moderní tapety se vzorem jemné pleteniny v..
Šedá a růžové geometrické vzory na zelené vliesové tapetě na ze.. This pretty in pick candy spot wallpaper is great for girls of ..
Black chateau pattern on a brown paper wallpaper for wall. Bricks can breathe a unique atmosphere into country and modern ..
Design betonu vnese do vašeho interiéru originální efekt a přek..
Floral pattern on a high quality paper wallpaper. Czech product. Highly washable bathroom wallpaper. Mosaic pattern. Favorite motif - written words on a finely structured white vli..
Teenage pattern, motifs of London, England on quality paper wal.. The stones can breathe in an unique atmosphere of the countrysi..
Dejte stěnám tvář tapetou s neotřelým originálním designem. Ex.. Replace the stark walls with style and elegance. Dark green m..
Gray-silver wavy pattern on a white vlies wallpaper with fine t..
Dodejte vašemu interieru útulnost, styl a eleganci. Nadčasový o..